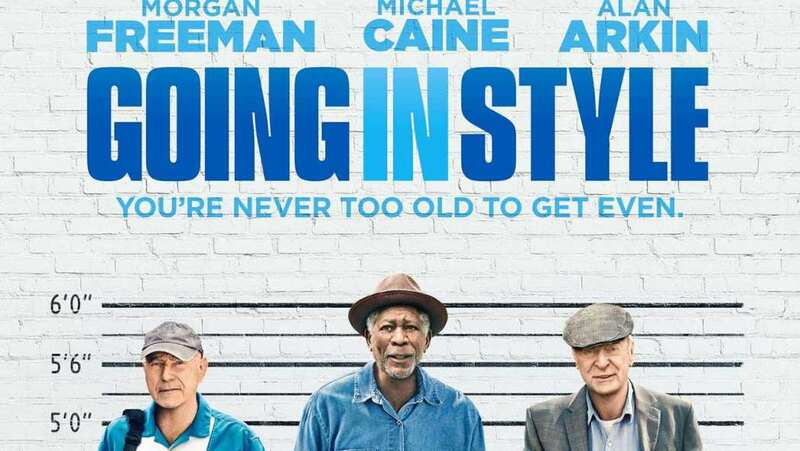 Going In Style, a remake of the 1979 comedy caper starring George Burns, Lee Strasberg and Art Carney, has all the makings of a gentle crime tale that, after the events of the Hatton Cross Robbery (a film is being released in a few weeks), we can semi-believe, noting that not all old people sit around complaining about the state of the country and youngsters today but they can still pull off a bit of thieving as well. Sadly, this version lacks any real originality or ingeniousness. Instead, it relies far too much on its seasoned veterans to pull it all together. Joe is a former steel worker who is struggling to pay his mortgage due to his pension being cut and then stopped altogether after the company decides to move to Vietnam. Pals Willie and Albert, who live together, are in a similar situation and know they won’t survive without the company money. After Joe witnessed a bank robbery, he decides to do the same, getting the money that they are owed back from the same bank that has stopped the payments. This is easier said than done for three old men who are not as sprightly as they were. Director Zach Braff, who usually is making edgier films like Garden State than studio comedies, and writer Theodore Melfi (who scored big recently with Hidden Figures) have taken the original story, in which the three men rob a bank to inject some excitement into their lives and given it a more purposeful reasoning, that of sticking it to the big guy. That, unfortunately, is as edgy as it gets because the rest of the film is set into automatic and nothing surprises. It’s very easy to allow the story to just wash over you with some films but this one deserves much more. We are invited to watch three actors going through their paces, ticking all the boxes you’d expect to see from a caper comedy which leads to the very predictable ending. If you think you know how it ends, then you are right. The problem is there are no risks. There’s no sense of danger or peril. Which means there’s nothing for us to get excited about. Maybe the humour will carry it through. Sadly, no. There are the odd moments but no enough for a 90+ minute movie. This should have been a film in which the leads were bickering, bantering and generally delivering memorable line after memorable line. To be honest, I only saw the film an hour ago and not a single line stands out. Thankfully, the saving grace of this lazy affair are the leads. 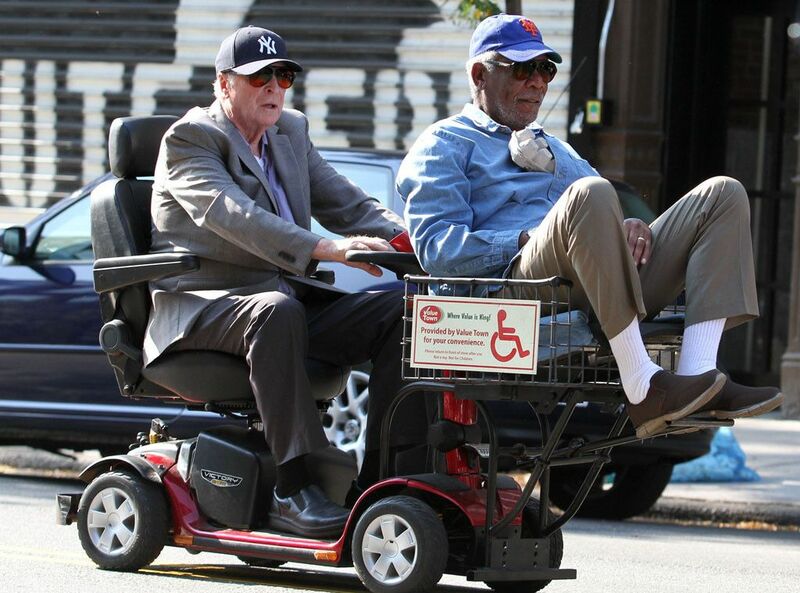 Morgan Freeman, Michael Caine and Alan Arkin are all experts in screen acting and they prove it here. You don’t mind spending time with these old guys and they do their very best to keep us entertained. While them being here is a plus, they are also a minus. It is because of who they are that there are no surprises. They are never going to be nasty, or vindictive or brutal. If they were, that would have shocked us and I, for one, would have applauded for giving us something dangerous. Instead, we watch them going through the motions like spending an afternoon with your favourite grandfathers, so you know they won’t get hurt or do anything really bad. Going In Style is a disappointment. With so much talent on hand, this should have offered so much more. What we get is mediocre. At one point, Freeman and Caine are sitting watching Dog Day Afternoon, a much more quirky and interesting caper film. At that point I wanted the cinema to just so the whole of Pacino’s film. Going In Style is less than just average.